Sancar Flats currently has one and two-bedroom apartments available immediately . Please call 540 421 1083 for availability dates and prices, and to schedule a showing. 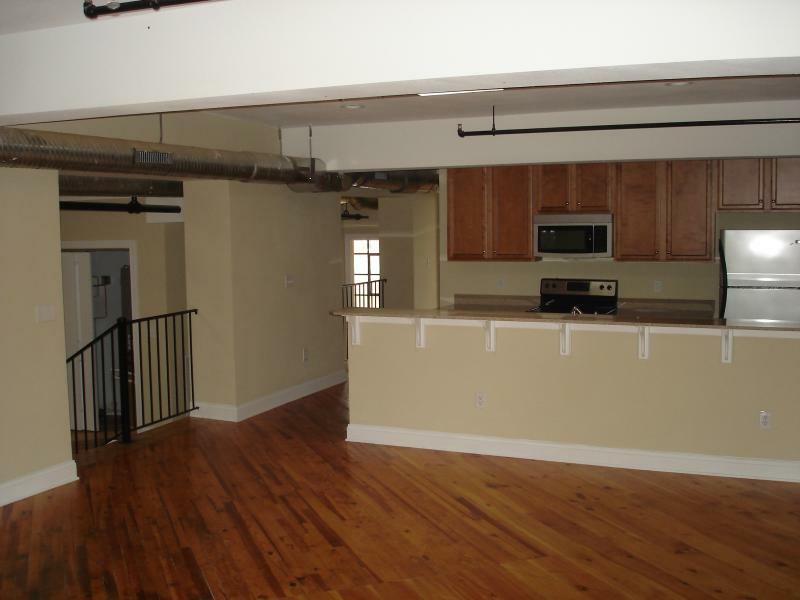 These apartments are the most upscale and best value in Downtown Harrisonburg. Compare these units to anything out there - we guarantee our units are not only higher quality, but more affordable! The Sancar building was constructed in two phases. The West end, of buff brick, dates to the late 1930s, according to the National Register of Historic Places. The east end dates to around 1950 and has red brick walls. The Metro Pants Co. built the original portion of the structure. In the mid-1950s, Sancar Corporation, manufacturers of women’s lingerie, acquired it. An investment group committed to being a part of downtown Harrisonburg's revitilization buys the building. After two years and countless hours of planning, Sancar Flats at West Rock becomes reality. Sancar Flats at West Rock is an upscale residential creation just a few blocks North of Court Square --- easy walking distance to downtown Harrisonburg and JMU. At Sancar Flats, tenants don't rent from a faceless management company or a nonchalant middleman realtor. The ownership group personally manages the building. Problems and concerns are dealt with immediately. The response time on most any issue or inquiry is generally less than 5 minutes from the building manager's cell phone. We treat our tenants as 'partners' in this beautiful historic renovation. We can be reached by calling 540 421 1083, or by using the link in the contacts page. Copyright 2008 Sancar, LLC. All rights reserved.